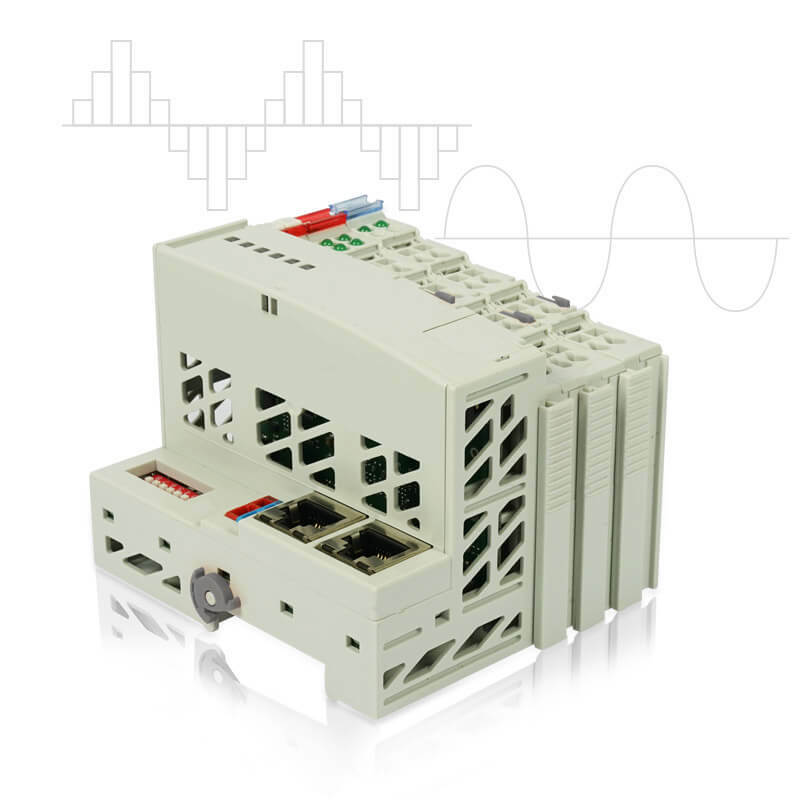 The scanCONTROL Gateway and the scanCONTROL Output Unit enable to transmit the measurement values from scanCONTROL SMART via different interfaces. Each scanCONTROL Gateway can be connected with up to 4 sensors. It communicates with the scanCONTROL SMART sensor via Ethernet Modbus. 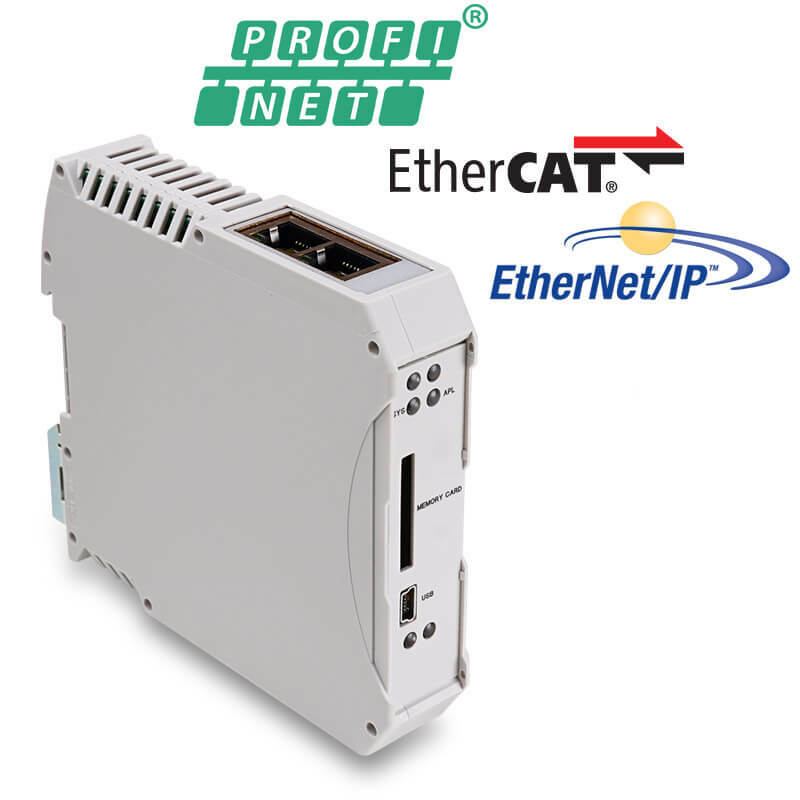 The resultant values are then converted to Profinet, EtherCAT or Ethernet/IP. The customer carries out the parameter set up with a detailed instruction manual. The scanCONTROL SMART sensors directly communicate with the Output Unit via the Modbus interface which converts the measured values into analog current or voltage signals or digital switch signals (OK/NOK evaluation). The system consists of a base (fieldbus coupler with filter module and end terminal) and one or two (analog + digital) output terminals.